Treat yourself with royalty in these spacious villas (177-181 sq.m). Enjoy the generous living outdoor and indoor spaces. The living spaces are open, bright in white colours, while contrasted by the blue hue of the invading sea views. 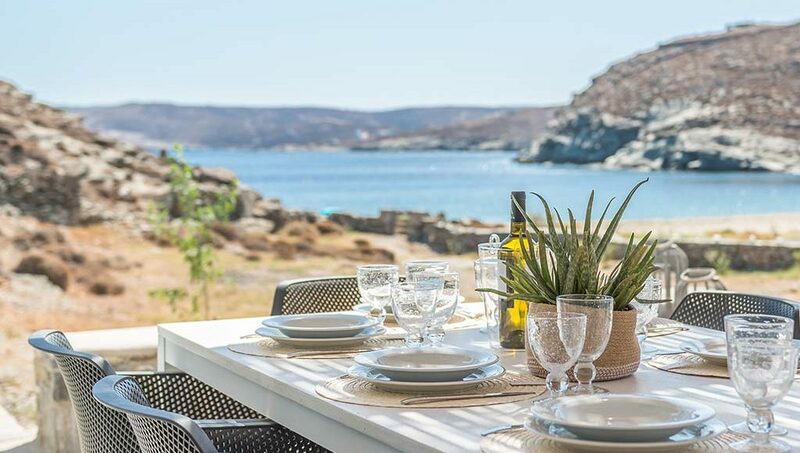 The sparkling view of Agios Sostis, the natural and romantic landscape enriches your wellbeing and travels you in a journey of nature and beauty. These luxurious villas are suitable for a family or groups of friends. They provide four bedrooms with queen/king size beds and three bathrooms for individual use. They also include an extended living-dining room with an open kitchen. They accommodate 8-11 guests. The private shaded terraces give you the opportunity to relish the delightful Agios Sostis bay all day long. 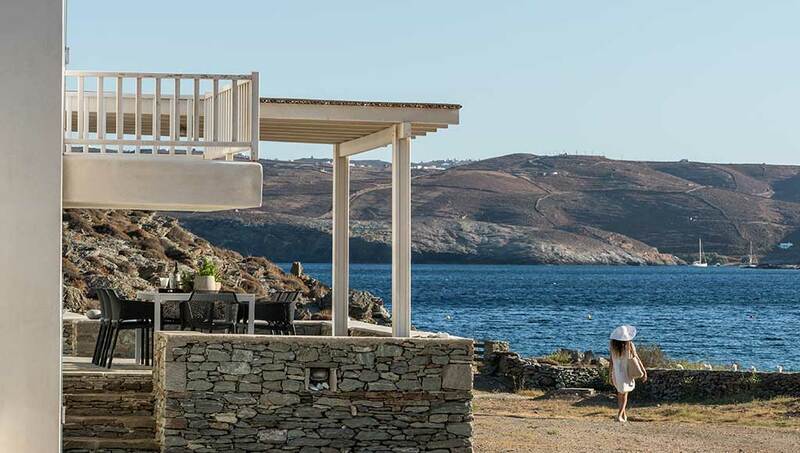 Their proximity to the shore converts those terraces to springboards towards your private natural pool.